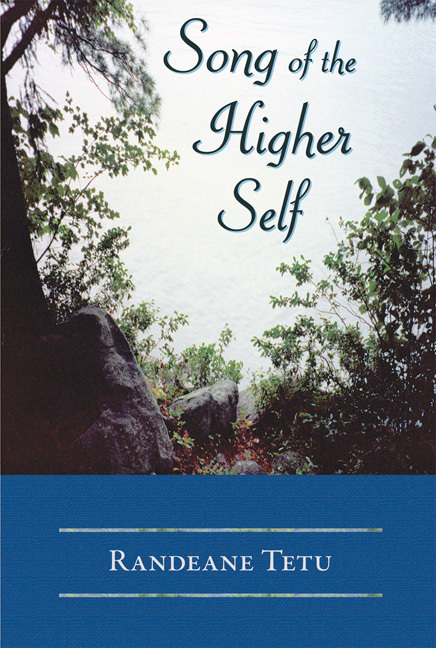 Song of the Higher Self teaches and guides you how to transmute perceived obstacles using the art of transfiguration. Transfiguration is a change from being directed by circumstances to directing circumstances. The book invites heightened awareness and spiritual insights which empower us in everyday aspects of our lives. Come into attunement with your soul memory and divine purpose as you access the divine creative principle, transmute perceived obstacles, and actuate your potentials of awareness, wisdom, and knowledge. 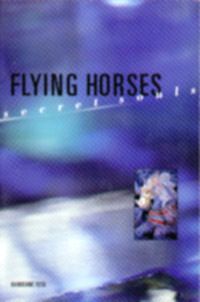 "This book gently guides you on your journey of spiritual expansion. the angelic realm to embrace you." If people could only know ahead of time – as they read this book, they open to a new type of self-understanding and insight. This book is a gift to all those seekers who seek and feel as though they never find. So when they open the pages and take a deep breath, let them draw to them the meaning of what is really being said, that they may continue their journey on this earth plane school with learning, understanding; therefore, strength and wisdom. In Singing the Trees, Randeane has given humankind a guidebook to true expression of the soul. 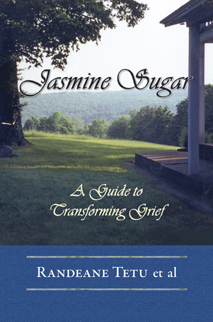 Through meditations, exercises, and her willingness to connect with her Spirit Helpers (her other selves), she leads the reader on a gentle journey with velvet words and muted vibrations that encourage and support rather than direct. This book is a journey into the Liquid Light of Love, that path that beckons you home. 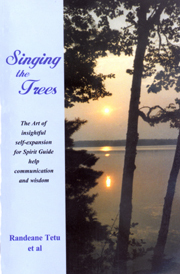 Singing the Trees helps you find your balance, discover your creativity, and enhance your awareness. This is a book that illumines your path. "You must understand the beloved is you. And also, you must not forget this." In a size to carry with you for inspiration, guidance, encouragement, remembering. There is a message of peace. There is a message of love. to live each day with love and peace." that you are completely loved." Whether you are looking for inspiration or connecting with your own spiritual guides, you will refer to this book day after day for its wisdom and guidance. You must understand the beloved is you. problems to a better understanding of the world and your place in it." "When I read it, I feel my stress level going down."
. . . Shows us how to access our own deepest wisdom and highest guidance. A moving book example, guidance, and inspiration. into this message of love. the charm and magic of contemporary New England." "Tetu renews our faith in the good short story, in the evening well spent with a scrumptious snack, a glass of iced tea, and delicious reading." Merle's and Marilyn's Mink Ranch is a collection of stories about men and women who face life on their own terms, creating new myths and changing their realities to fit their needs. Tetu evokes humor and pathos, honing in on those small but critical circumstances that lead her characters to act decisively as their lives unfold in the small tight-knit communities of rural New England. "Tetu's collection of stories is like a rich attic . . . full of relics, warps in time, miniatures, mementos, odd angles of vision, curious characters. You'll find it a fine place to spend an afternoon." world works. Like Kafka, she is so inside her lonely and comic characters that she can be as detached from their puzzled behavior as they are." "(Her stories are) lean, lithe, graceful as a dancer . . . electric with energy, alive with interest, humming with evocation. Randeane Tetu is clearly one of our best story writers. 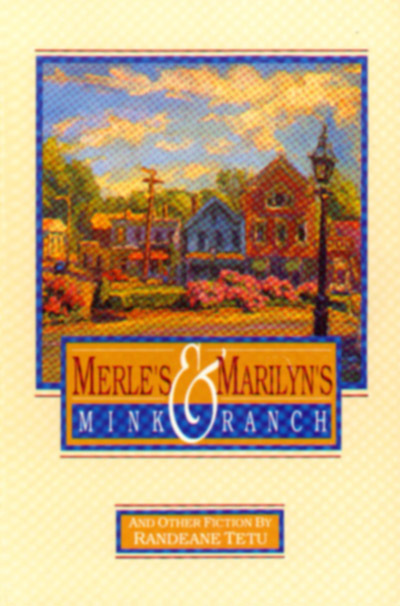 Merle's and Marilyn's Mink Ranch is a book to take to heart." "Randeane Tetu sees . . . the most delicate shadings and nuances of human behavior, the kinds of things that we know intuitively but have never brought fully into consciousness." ...William Woolfolk, Novelist and TV Writer. "The lucky reader of these twenty stories will encounter an accomplished writer with a poet's eye for detail and the ear of a true listener." "...when Tetu weaves language, mystery, and desire together, as in Depth of Field, a story about a stranger who repeatedly pulls into a couple's driveway and listens to classical music, the reader enters a dream world as encompassing and peaceful as a field on a summer's night." 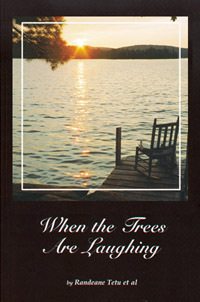 "...the reader leaves the author's peaceful country feeling refreshed." With humor and pathos, Randeane Tetu's latest collection of short stories pulls you deep into the imperceptible moments that underlie our everyday experiences and yet change our lives. Set in small New England towns, Tetu's wonderful ordinary folks, young and old, share a sense of the magic that comes from believing that actions reflect their very essences and can positively affect lives. These delightful human souls remind us that recapturing the way we saw things in childhood can help us find our way in adulthood.